We carry the necessary boltless shelving parts you'll need to configure the type of durable shelving system that best suits your purposes. These industrial shelving components include your choice of regular upright posts or heavy-duty posts. You can also choose between single-rivet beams or double-rivet beams, which are heavy-duty shelving parts. Beams are available in lengths of 12”, 15”, 18”, 24”, 30”, 36”, 42” and 48” for the single-rivet beams, with additional lengths of 60”, 69”, 72”, 84” and 96” for the double-rivet models. 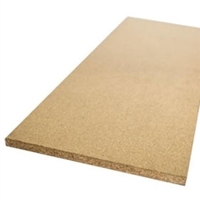 Shelf deck supports in seven sizes between 12” and 48” can be added to strengthen shelving runs, and 5/8” particleboard is available in 26 sizes to provide a solid deck for each shelf. These are Regular Duty Upright Posts for Racking Systems. These are Heavy Duty Upright Posts for Racking Systems.